This Dublin Coddle is so good, you will want to serve it more often than just St. Patrick’s Day. What is a Dublin Coddle you ask? 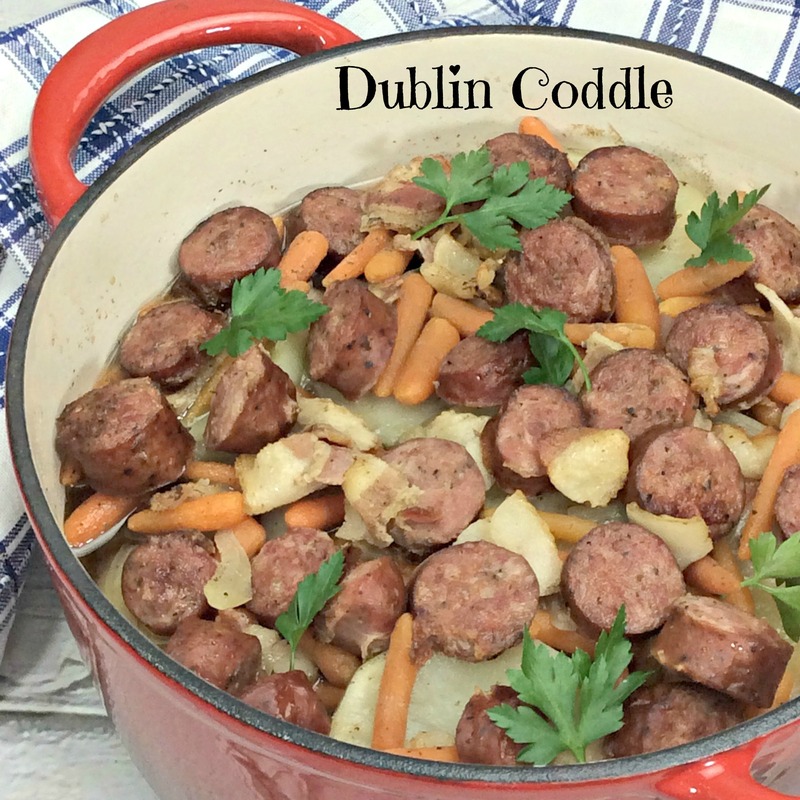 Typically, a Dublin Coddle is a stew-like Irish comfort food designed to use up leftovers and made with things such as salty bacon, sausages, and potatoes. A Dublin Coddle is basically the Irish version of beef stew and just as delicious. Prep all of your ingredients like the sausage, potatoes, bacon, onions and carrots. In a large saucepan, combine broth, sliced sausages, and bacon. You will need to bring it to a boil. Once you do reduce the heat to low and simmer for 10 minutes. Take the sausages and bacon out of the pan and place it on a plate and set to the side..
Lightly grease, or spray a non-stick baking spray over your dutch oven or casserole dish. Begin to layer your potatoes on the bottom of the dish. Place a 1/3 of the onions and carrots on top of the potatoes. Pour the left over broth over the entire dish. Cover with a lid and place in the oven. Check on your entree and if it seems dry add more broth. ← St. Patrick’s Day Bark That The Kids Will Love!